This audio covers why we have fears and where they come from and an introduction to the processes to over come them. This process can be used not only to release fears around speaking or making sales, but also applied to let go of negative belief systems around money or sales. 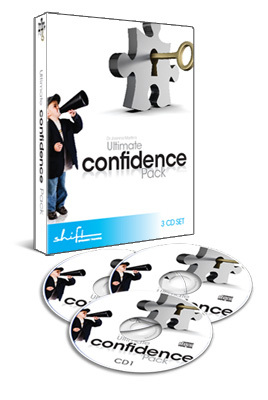 In short it will help you to blast through any unconscious blockages that may be preventing you from achieving the level of success that you deserve. This audio has my process for getting myself mentally and emotionally prepared before EVERY presentation I do, no matter how big or how small. It contains positive suggestions for success that are designed to go sraight into your unconscious mind, and visual rehearsal so you experience your ideal result before you go out and create it. This is a VITAL habit to get into if you are serious about becoming a successful speaker who makes money!